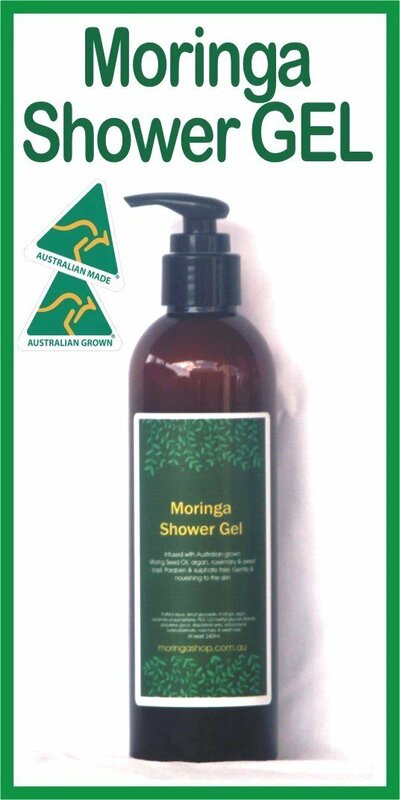 Why not spoil your human with our Moringa Shower Gel? This gel contains Moringa seed oil which is Australian grown and made. The ingredients include Moringa seed oil, Rosemary & Sweet basil. leaving your skin smelling fresh. As this is a natural product which does not contain Parabens & sulphates it has a mild, low foaming/lathering gel with no harsh surfactants. Beware of Moringa products in some major retailers as their products are imported and NOT Australian made and do not contain pure Moringa so you gain the benefits of this product. Use daily and feel the difference it will make to your skin. The moringa seed oil is cold pressed, NOT the solvent based ones !